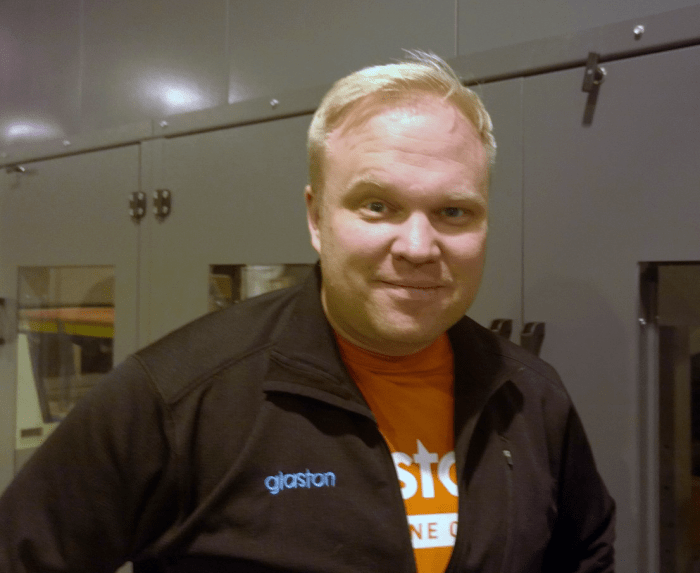 In 2001, I began my career at Glaston as an engineer trainee in the electrical and automation department. And in retrospect, this is how it all began for me at Glaston. After graduating as an electrical automation engineer, I continued working with electrical engineering until 2003 when I transferred to become an installation supervisor. In this position, I literally supervised our machine installations all over the world. My work has taken me to more than 40 countries. Plus, my stay of over five years in Dubai has been the longest time for me away from Finland. Definitely the best part of an installation supervisor’s work is getting to know new cultures and understanding the local way of life. A couple months of observing, for example, Kenyan, Malaysian or Iranian working groups and their rhythm of life is an eye-opening experience. At the moment, I’m working in the product development team as a Process Expert. I’m still traveling, but less than in the past. My work is challenging because the field is changing rapidly, and new techniques and technologies are continually advancing. In addition, I’m also keeping close contact with our customers. If I think what kind of a person would succeed at my job, I would say someone who can embrace challenges with eyes wide open would be the best. There’s no reason to get bent out of shape when things backfire. When the work is done and the customer shakes your hand with gratitude, then it’s nice to go home. The most memorable moment for me was when I was measuring a transformer’s voltage in Malaysia. At exactly the same second that I connected the measurement device to the transformer, all the electricity went out on the entire peninsula. This had nothing to do with me, but it was nice to believe in myself and my own powers to turn off the electricity in the entire country. It has been great that Glaston could respond to the changes in the different stages of my life. When I have looked for new challenges, my employer has been able to provide me with those. When I have needed more time at home, that has also been possible. My work has given me lifelong experiences and an open-mindedness that cannot be learned on the couch. Customers expect a lot from the people who work at Glaston – and at the same time, they appreciate their knowledge. Challenges at the top are tough – but the work is rewarding.